A monthly roundup of our Industry Updates, Blogs and Market Information. Beginning in August 2018, Pier Pass will implement a significant change to the OffPeak program used to mitigate truck traffic at the Ports of Long Beach and Los Angeles. The new fee structure will replace the incentive-based model currently in use with an appointment-based system. 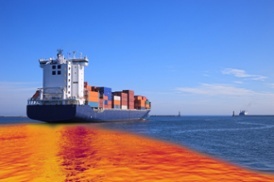 The new program is the result of requests for change from port users and comes after an 18 month process of analysis and consultation with industry representatives and consultants. According to PierPass, the new program will allow for more flexibility in how terminals respond to customer needs and has the ability to evolve as technology and systems change. From an operational standpoint, the changes are expected to relieve the late-afternoon truck congestion that routinely occurs prior to the start of 6:00 pm OffPeak gate hours. 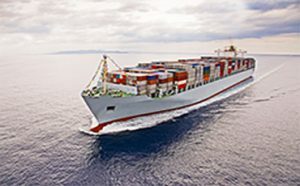 The current TMF of $72.09 per TEU (twenty-foot equivalent unit) will be replaced by a new flat fee of $31.52 per TEU; the rate for all other sizes will be a flat fee of $63.04. A comprehensive question and answer summary regarding the new Pier Pass OffPeak program can be found here. 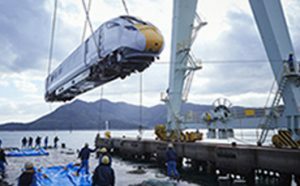 Steel Commodities - Exceptions extended from May 1 to May 31 for: Canada, Mexico, Australia, Argentina, South Korea, Brazil and member countries of the European Union (Austria, Belgium, Bulgaria, Croatia, Cyprus, Czech Republic, Denmark, Estonia, Finland, France, Germany, Greece, Hungary, Ireland, Italy, Latvia, Lithuania, Luxembourg, Malta, Netherlands, Poland, Portugal, Romania, Slovakia, Slovenia, Spain, Sweden and the United Kingdom). As of June 1, 2018, only the following countries will be excepted: Argentina, Australia, Brazil, and South Korea. Korea will be subject to quota for steel and until further notice will require quota entry type codes 02, 06, 07, 23, 32, or 38. Aluminum – Exceptions extended from May 1 – May 31 for: Canada, Mexico, Argentina, Australia, Brazil and member countries of the European Union (Austria, Belgium, Bulgaria, Croatia, Cyprus, Czech Republic, Denmark, Estonia, Finland, France, Germany, Greece, Hungary, Ireland, Italy, Latvia, Lithuania, Luxembourg, Malta, Netherlands, Poland, Portugal, Romania, Slovakia, Slovenia, Spain, Sweden and the United Kingdom). Does your business require cross-border delivery into Mexico? Are you looking for a more streamlined solution to inland Mexico delivery? Introducing our LAX to Mexico Re-Forwarding Service with inland delivery to Guadalajara and Mexico City. Thursday, May 24th at 1:00 pst, we invite you to discover the benefits of our LAX to Mexico Re-forwarding service. You will learn more about importing to inland points in Mexico and how our program can do more than just lower your transport costs. If you have experienced any of these, we can help. trouble finding a logistics partner focused on YOUR needs? We invite you to join our webinar as we discuss solutions to these problems. Just complete the webinar sign up form and 'Submit' to reserve your spot. Rising fuel prices have contributed to increases in trucking and other inter-modal transport costs: Industry experts indicate that increases in fuel prices are likely to influence total transportation costs for the remainder of 2018. 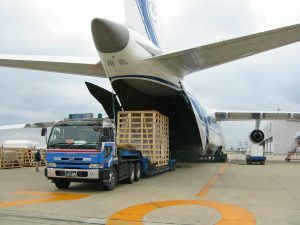 Air Freight Capacity is not expected to keep pace with demand growth in 2018 and has been characterized as a sellers market for the rest of the year. 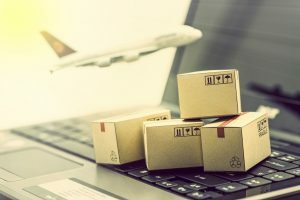 Shippers who rely on air freight should be aware of potential capacity constraints, particularly during peak season. Tips and What Ifs - Are you Shipping Lithium Ion Batteries? If you import or export lithium batteries you already know it can be challenging. Those new to the process should take care to understand and comply with regulatory guidelines for this commodity. Lithium-ion batteries, also known as Li-ion batteries, are the essential powerhouses inside many of today’s popular consumer electronics. Their light weight and compact size make them ideal for portable devices of all types. However, there is a downside. If Li-ion batteries are not handled properly there are well-founded safety issues. As a result, important regulatory guidelines must be followed if you import or export these lithium ion batteries or any products that contain them. Check out the full article for more information about shipping lithium ion batteries. If you like what you see, visit our library and subscribe.